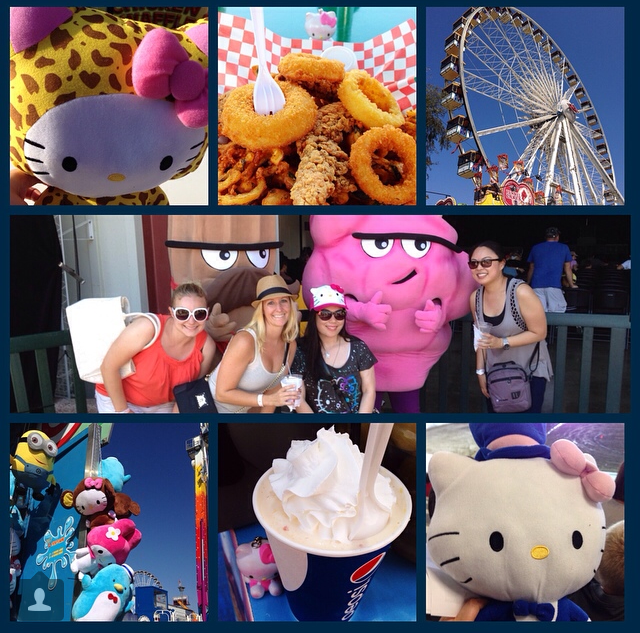 Two years ago I attended my very first OC Fair. 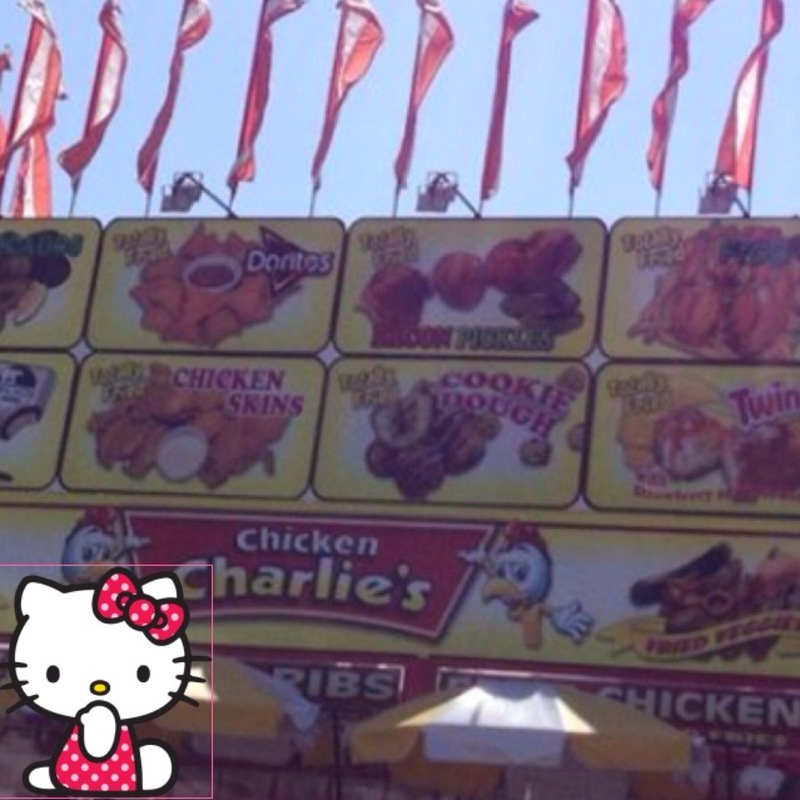 Since it was my first time there, I found fair food so interesting. Deep fried what? Chocolate covered what? 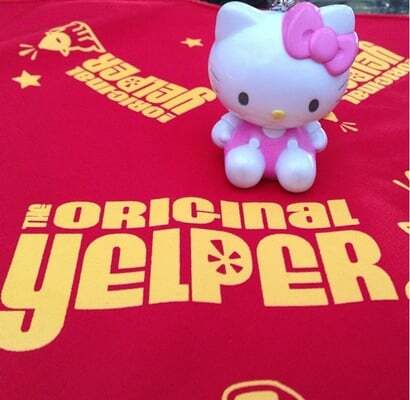 It was all so fascinating for a first time fair go-er like me. During that trip I found myself having a Krispy Kreme chicken sandwich. It was fair food to the finest! Unique, fun and something I would only try once! 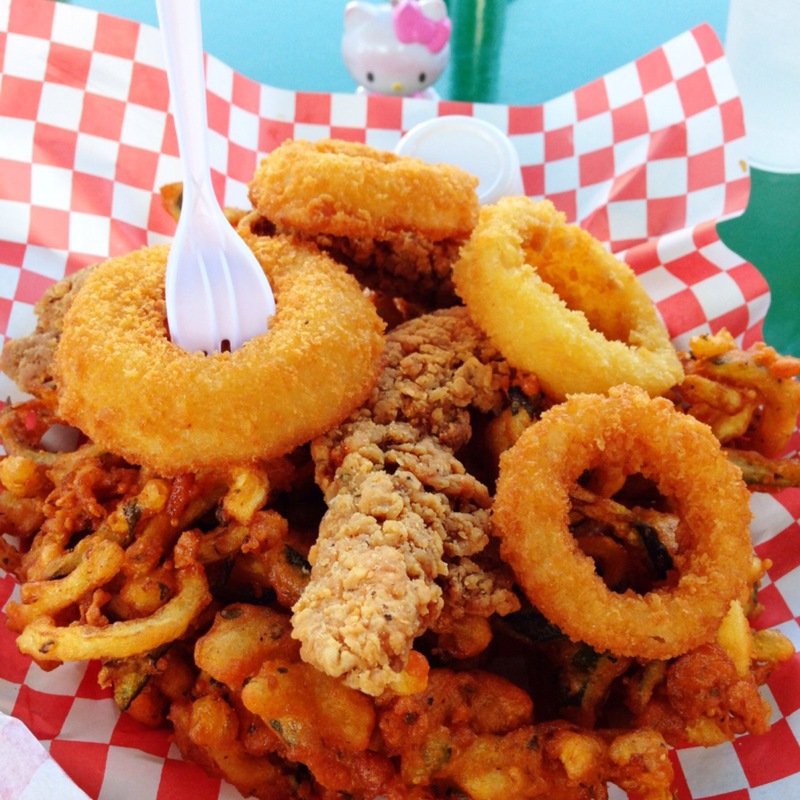 was the “Fair special.” It is a plate filled with chicken tenders, onion rings and fried zucchini! Everything was perfectly fried to be golden brown and crispy. The zucchini curls with it’s somewhat sweet batter and juicy interior were the best, especially when dipped with the accompanying creamy ranch sauce. The plate was packed and perfect for sharing with friends! When it came to dessert, I opted out of my original choice of a deep fried red velvet cake (I had to skip out because I already had too much deep fried stuff via the “Fair special.”) and instead stuck with a peach milkshake! It’s peach season and this was the perfect peach drink. 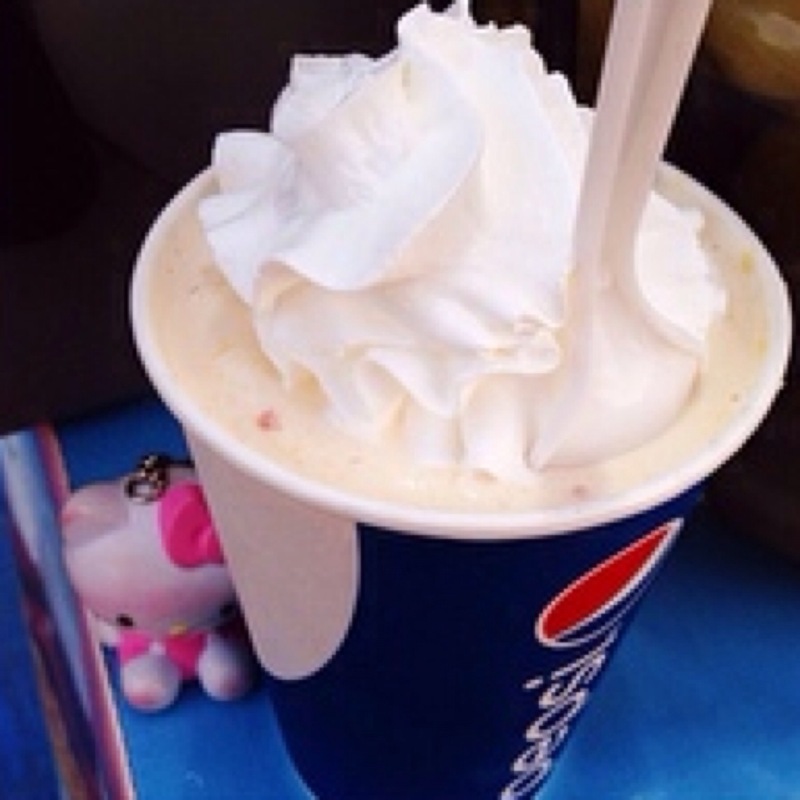 It was a hot day and this milkshake was refreshing and cool! It even had chunks of peach slices inside.